Some of the best single-track within driving distance of Portland, the ride along the Ape Canyon Trail to the Plains of Abraham starts out in pristine forest but soon delivers you to the lunar landscape of the Mt St Helens blast zone. From Mount Beachie, you will experience incredible views of both Opal Creek and the Bull of the Woods Wilderness areas. On a clear day, you may also spot many of the high Cascade Mountains from Mount Adams to Diamond Peak. Neahkahnie Mountain is a very accessible peak, for intermediate and experienced hikers alike. It leads to an incredible view of the coastline to the south, while highlighting the plant and terrain diversity of the area. Table Mountain may be one of the most difficult mountains to climb on the Washington side, but it is worth all of the work it takes to get to the top because of the outstanding 360 views from the summit. Paradise Park is an alpine meadow around Mount Hood that is appropriately named for its beauty year round. The park is particularly beautiful when it is littered with wildflowers in July and August. The hike to Dry Creek Falls is short, easy and gorgeous, especially when the leaves are changing color in the fall. It is a beautiful single-stream cascade that flows down 75 feet in front of large slabs of columnar basalt. The view from the top of the Cascade Head hike is one of the most spectacular along the Oregon Coast. 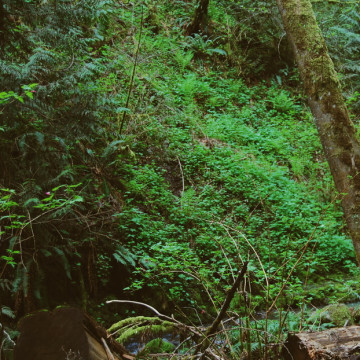 That, paired with the diversity of plant and animal life here, makes this hike an absolute must for Portland hikers. The view of the gorge as you trek through the unique landscape to the Labyrinth is incredible. This hike is filled with oaks, beautiful waterfalls, basalt outcroppings that contrast the view, and the area is filled with wildflowers in the spring. With stunning views of the Columbia River Gorge, the Syncline is a great option for mountain bikers and trail runners who like uphills, but who love downhills. From exploring the tallest waterfall in Oregon to paddling the Willamette River, here is Chaco's guide to a weekend in Portland.